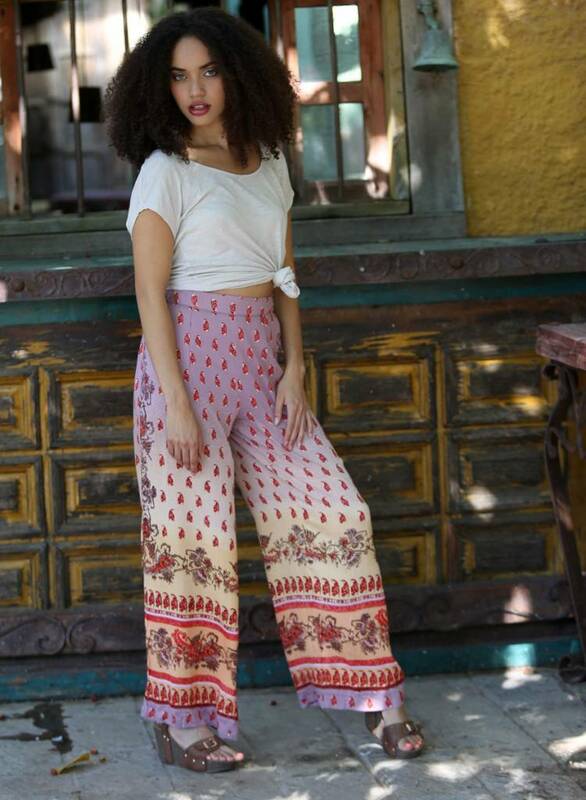 The Angie wide leg pants are cut from a gorgeous printed rayon fabric with some ladder lace in lay at the bottom hem. Pull these on to be super comfortable and eye catching at the same time. Features an elasticized waist band. 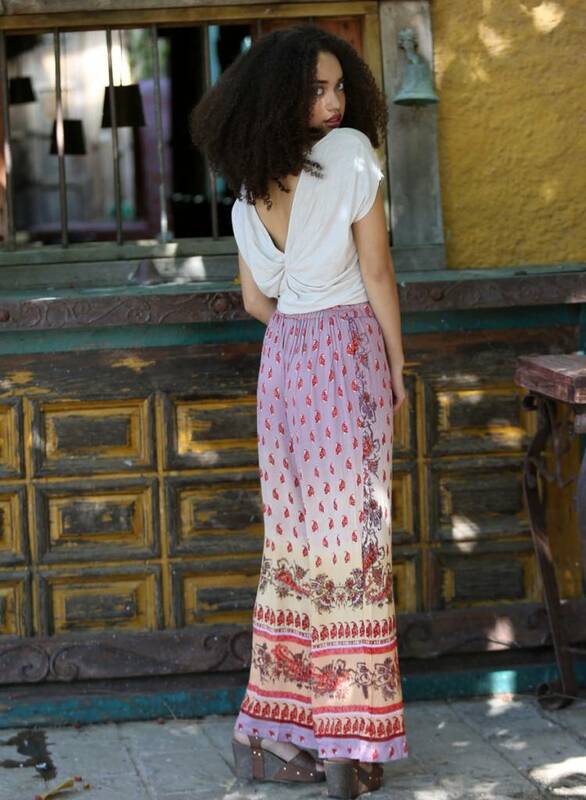 Matching top available for a chic bohemian head to toe set! See below.